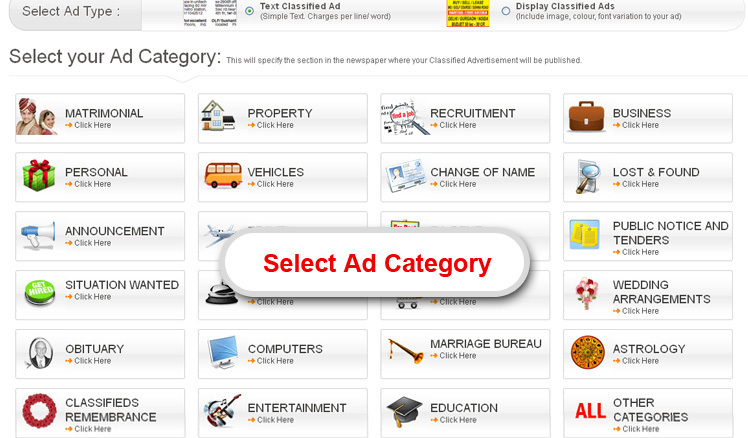 Whether you are looking for candidates for a job vacancy, a bride/groom or wish to sell a cozy apartment in an upcoming neighborhood, newspaper classified ads are the most innate place for an advertiser to be on.Advertisers looking to reach a highly motivated target audience find it to be the perfect compliment for their Ad needs. 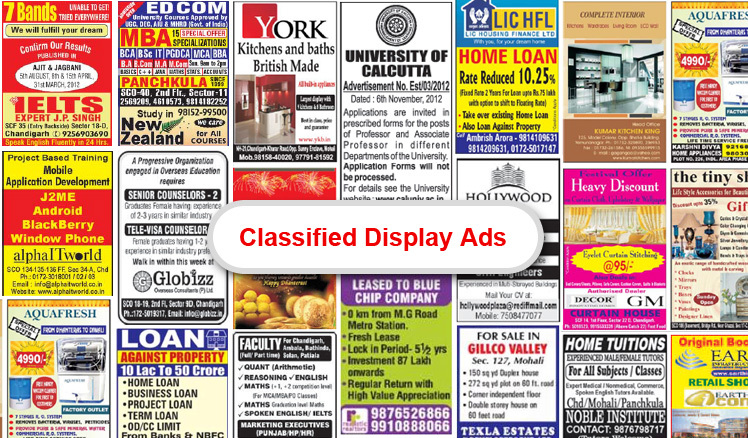 As the term implies, classified ads are small sized valuable sought after information clubbed or classified under various heads such as situations vacant, matrimonial, educational, to let, public appointments, court and company notices, tender notices, and so on, published in a separate section of a newspaper or magazine. 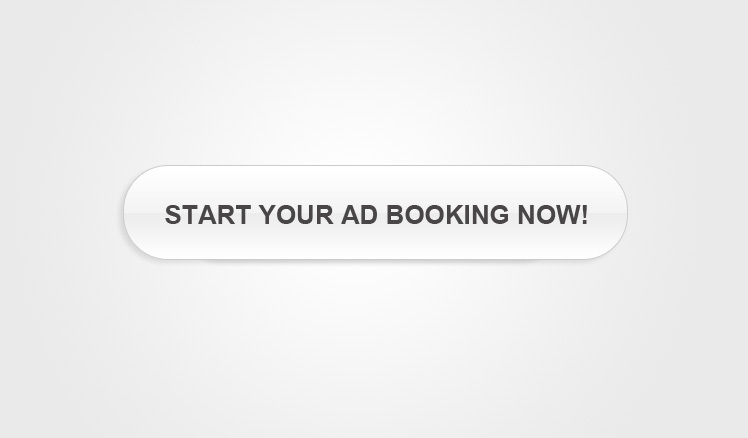 Such Ads are relatively inexpensive compared to large display advertisements used by businesses. 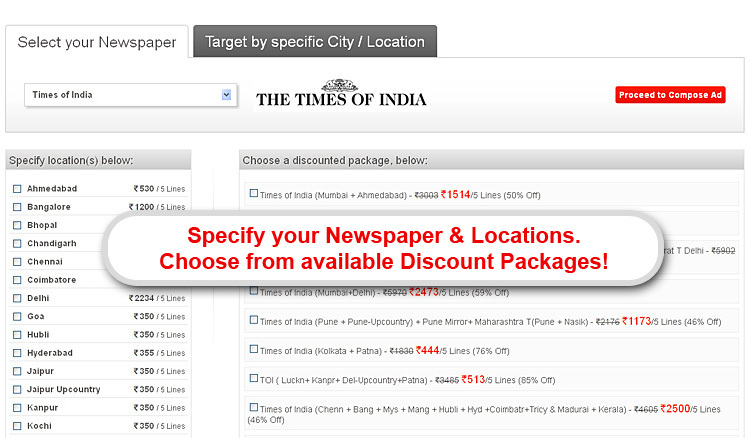 Such ads in newspapers are typically short, usually a column wide and may yield significant returns on investment. 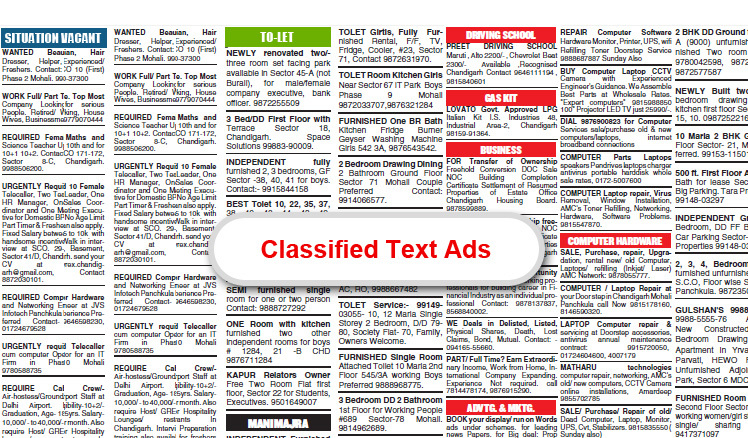 These ads are composed of simple running text, placed in the classified section of the newspaper. 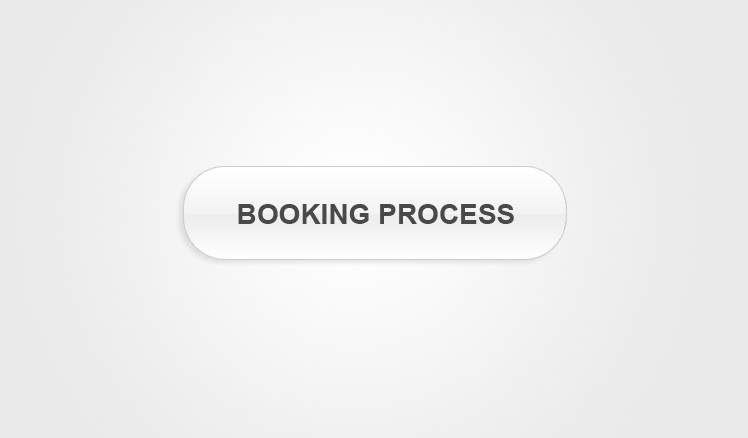 They are grouped under the heading categorizing the service or product offered and usually a column wide. 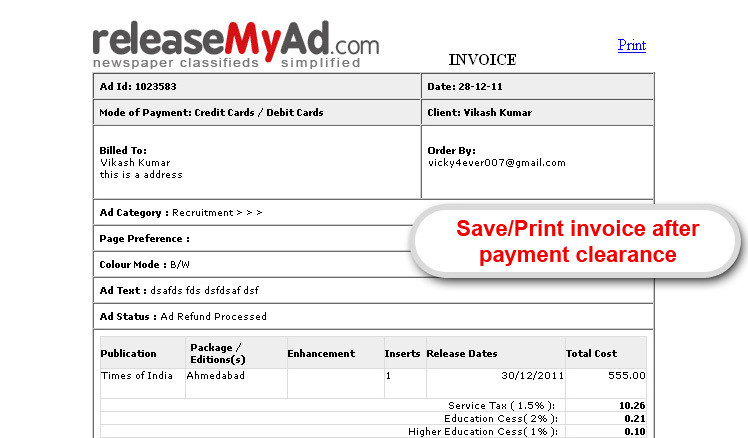 The rates for such ads are charged on the basis of the count of lines, characters or words used. 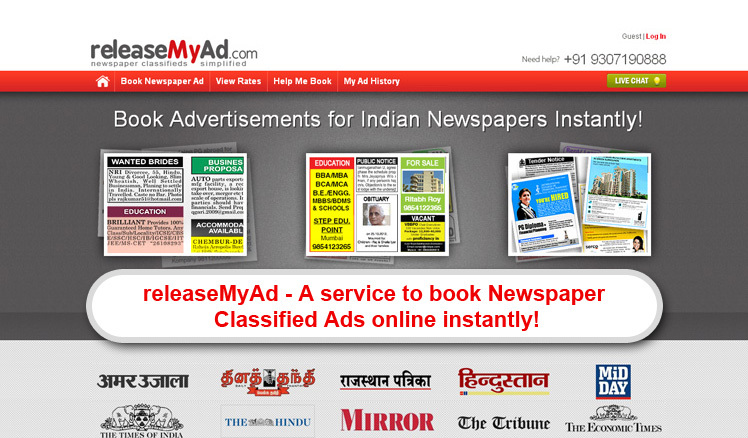 Also called column ads, these ads can be both colour and black & white. They may span more than one column area and generate a high visibility due to inclusion of vibrant graphics and formatted fonts and logos. 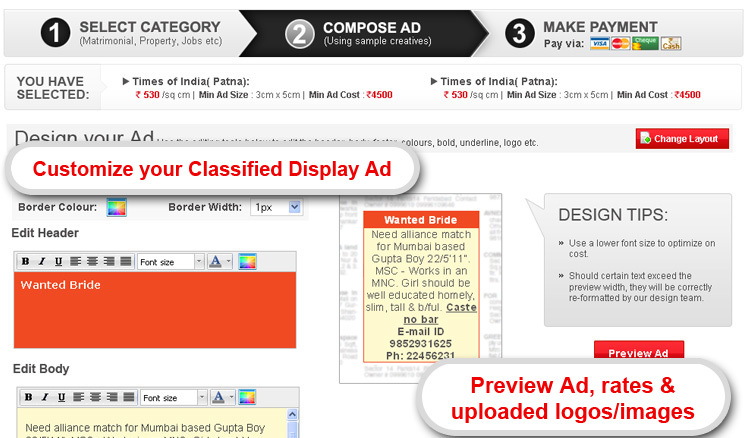 Hence, classified display ads are a bit more expensive than classified text ads. 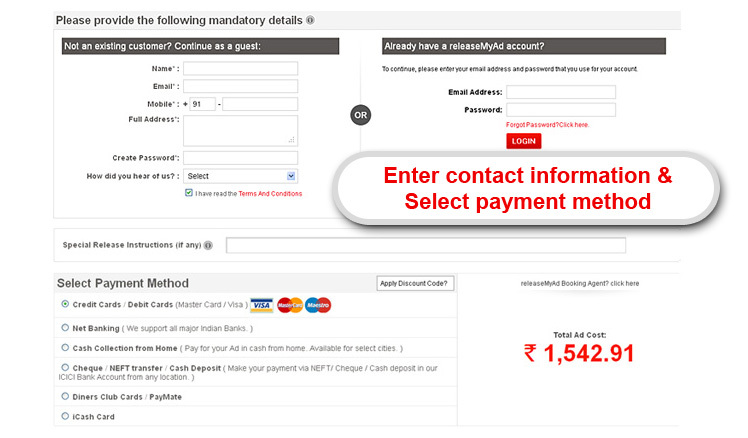 The rates for the same are charged on a per square centimeter basis. Proceed to draft your Ad with the assistance of the samples provided. 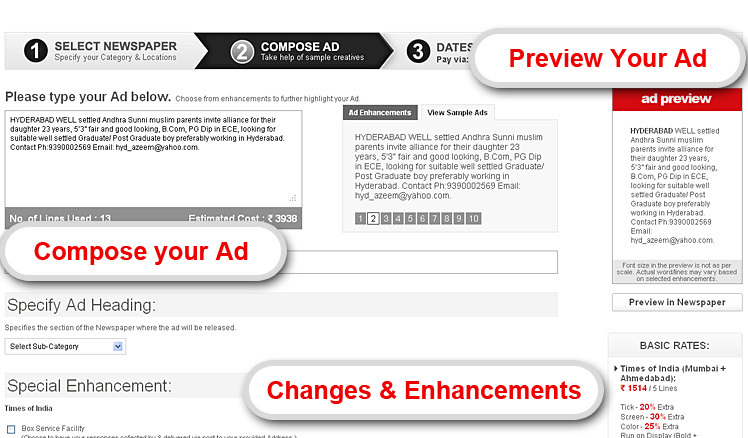 You can choose to add enhancements to your Ad a ike tick, color, etc. 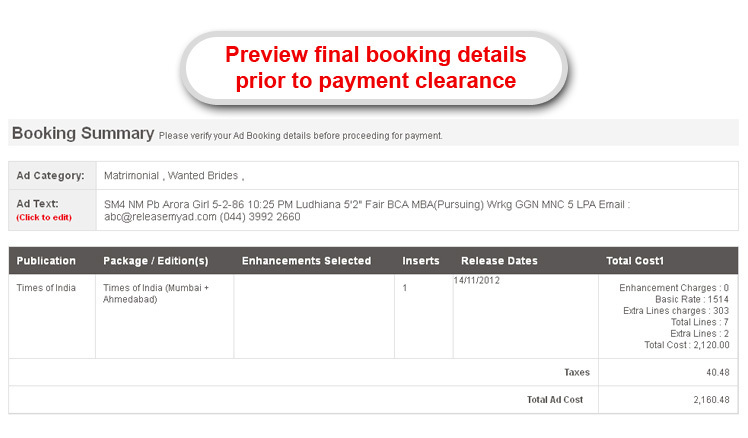 Now you can select the dates in which you want to publish the Ad.You can then proceed to make payment via our various online/offline modes. 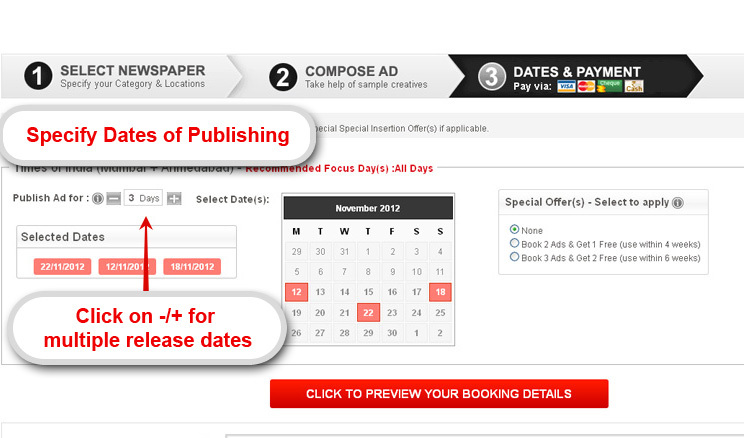 Your Ad is now all ready to get published on the selected date.